Ferdinand Porsche is the world-famous car designer, and an engineer. He was born on September 3, 1875, in the city of Mafersdorf, Austro-Hungarian Empire (today Vratislavice nad Nisou, Czech Republic). His father was a master panel-beater. From the early childhood, it was obvious that young Ferdinand was technically inclined. Every citizen of Mafersdorf witnessed his talent when he built his first energy generator at the age of 15. At that day and age, the electric bulb was the most advanced piece of tech ordinary person could hope to find. Apparently, before Ferdinand had built his custom generator, only the city mayor had electricity in his house. In 1900, Ferdinand, by that time an employee of the Lohner Company, created an electric car under the name of Lohner-Porsche. This vehicle became a sensation at the Paris Motor Show thanks to its ingenious design (compact electric motors were hidden under the front wheel hubs). The next morning, 25-year-old Ferdinand woke up famous. There is a reason why so many people aspire to get recognition in Paris. Overnight, this astonishing success turned unknown an engineer into the celebrated industrial designer. Another curious fact from the automobile career of Ferdinand Porsche: the renowned constructor used to work as a personal driver of the Prince of Hungary and Bohemia, Archduke Franz Ferdinand. 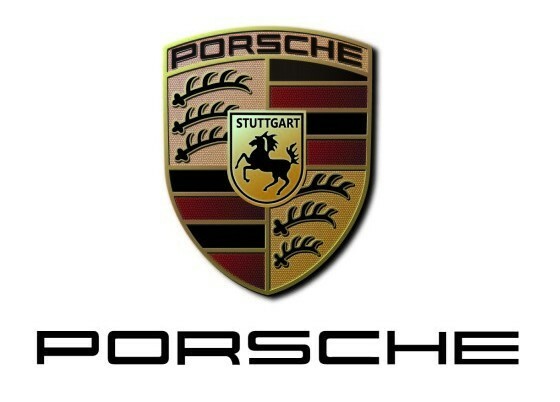 Ferdinand Porsche founded his own company on March 6, 1931, in Stuttgart, Germany. Nowadays, the full name of the company is Dr. Ing. h. c. F. Porsche GmbH (German: Doktor Ingenieur honoris causa Ferdinand Porsche Aktiengesellschaft). The German company develops cars and motorcycles, as well as engines of all types. In 1934, Porsche received an order from the German government to develop a simple and affordable car, which could be easily mass-produced. Just a year later, Porsche introduced the first prototype of “People’s Car” (German: Volkswagen), which later became world-famous under the name of VW Beetle. During the Second World War, Ferdinand Porsche and his company were involved in the development of military equipment. The most famous example is the Tiger (P) also known as “Porsche Tiger,” a version of the famous German heavy tank Tiger. The German government asked two companies, Porsche and Henschel to submit their designs for the new heavy tank. Eventually, Henschel’s prototype proved to be superior. This variant was adopted for mass-production and entered European and African battlefields as a fearsome Tiger I tank. However, Porsche does not close the project, producing five of those machines in total, one of which saw an action as a command vehicle. Porsche further improved its prototype and eventually used it as a basis for the other project. The Tiger (P) chassis was later chosen to be the basis of a new German heavy tank destroyer Ferdinand, which was named after its designer Ferdinand Porsche. The company’s very first passenger car was developed in 1939. The Porsche 64 became the basis for all future models, despite the fact that only three of those vehicles ever left the factory. F.Porsche was immensely passionate about the performance of the cars he designed. This is why he spent his time at races around the world, such as the Targa Florio. Paving the way for guys like Enzo Ferrari. In fact, six automaker’s (Lohner, Austro-Daimler, Mercedes-Benz, Steyr-Werke, Auto Union (Audi), and Cisitalia) vehicles used in motorsport were influenced by Ferdinand Porsche’s designs. Unlike most automakers, Porsche improved its technological excellence with each subsequent model. This resulted in not only enhanced comfort and usability, but also granted amazing results in racing. Typically, Porsche built two modifications of the same car model: road-legal and racing variant. The Porsche 356 was launched in 1948. It was Porsche’s first production automobile. This vehicle was a predecessor of the legendary sports car Porsche 911. Both cars had a similar layout, being two-door rear-wheel drive vehicles. The company provided an option to choose between a stiff or folding top for both of them. More than 76 000 of Porsches 356 were produced in total. What is mind-boggling is the fact that more than half of them have survived to the present day and still function. Ferdinand Porsche passed away at the age of 75 from a heart failure in Stuttgart. Interestingly, the German marque started to actively use its official logo only in 1952, after the brand entered the US market. Before that, the company simply used to stamp an inscription “Porsche” on the hoods of its cars. The legendary Porsche 911 was introduced to the public for the first time at the International Motor Show in 1963. Curiously, the famous cars were presented under the different name, Porsche 901. However, it turned out that Peugeot reserved the rights to the model name, consisting of three digits with a zero in the middle. Therefore, the zero was changed to one and the model entered the market under the name Porsche 911. For 50 years, Porsche vehicles have achieved more than 28,000 victories in different categories of speed racing! Another automobile manufacturer can only dream of such a staggering success in motorsports. Throughout the entire history of Porsche, the company sold more than 3,750 national and international patents. Two-thirds of all produced Porsche cars have survived to this day. Moreover, almost all of them are still operational. And that, my friends, is what we call the legendary German quality! Although Ferdinand Porsche founded the company in 1931, Porsche did not begin to manufacture cars until nearly a decade later. Instead, the company offered motor development and consulting services. For instance, Ferdinand Porsche is credited with the design of the bestselling Volkswagen Beetle. The company also contributed to the design of Tanks during the Second World War. The Porsche Panamera received its name thanks to successful performances of the Porsche team in the Carrera Panamericana race. The Porsche 904 Carrera GTS 1964 is a legendary car, which is evident from its specifications. It has a height of a mere 1067 mm. It has a weight of 640 kg and power of 210 h/p, and its power-to-mass ratio is 330 h/p per ton of weight. The Porsche 904 is a truly outstanding vehicle even by today’s standards. It can easily compete with modern supercars. The Porsche Cayenne, the most commercially successful model of Porsche, is named after the city of Cayenne, the capital of French Guiana. In addition, Cayenne is a type of red pepper also known as the Guinea spice, cow-horn pepper, and red hot chili pepper. The Porsche 911 has one of the most recognizable designs in the world of supercars. It has undergone continuous development, though the basic concept has remained little changed. Its distinctive visual style and technological excellence have remained constant for 48 years. In addition, this model is the most mass-produced luxury supercar in the world. Buyers of Porsche can opt to have their cars custom painted in any color (for a set fee). Porsches have been painted Silver, Magenta, Irish Green, Light Yellow, and Peru Red. However, the majority of Porsche cars feature the popular Red, white, and black colors of the company.